The Internet is a big place, and there is a lot of crap that hits the hype and sneaker sites each week. To help wade through the BS, we edit the sneaker flow into the top ten sneakers of the week online each Friday afternoon. 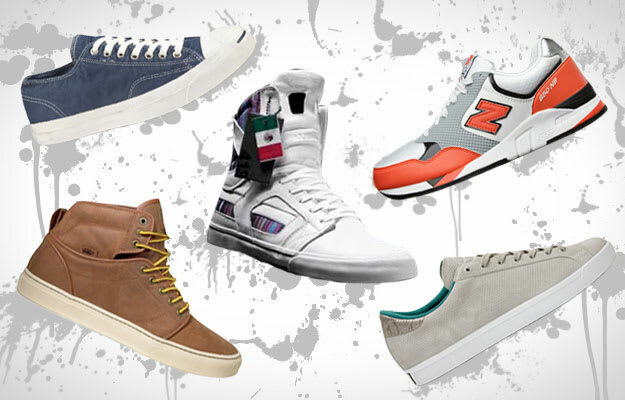 Hit the jump for the top ten sneaker happenings in the game for the week of May 3rd - 7th, including the new Vans OTW Alomar, Nike Dunk Low CL Canvas, HUF x adidas Consortium Rod Laver, and the highly-anticipated Supra "Cinco de Drinko" Skytop II.